But I don’t wanna be a crab!! My birthday is August 3. Has been for 37.5 years. I am a textbook Leo. I mean, that’s me to a T! Then I find out that there’s a new zodiac sign and I’m no longer a Leo?? 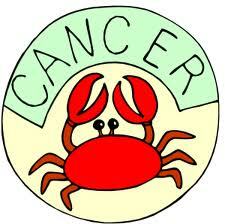 I’m a crabby Cancer?? No offense to other Cancers, I’m sure y’all are fabulous. So I pulled up the traits of a Cancer and….well, it seems they kind of fit me too. Actually they REALLY fit me. Just as much as Leo! Cancer Likes: hobbies, romance, children, parties, home and country. Cancer Dislikes:failure, opposition, aggravating situations, being told what to do and being given advice…whether good or bad. And I do love crab legs, but does that make me a cannibal? He does wear plaid pj pants though! Maybe they’re on to something after all!